Looking for a durable, commercial-grade game table that won't take up a ton of space? 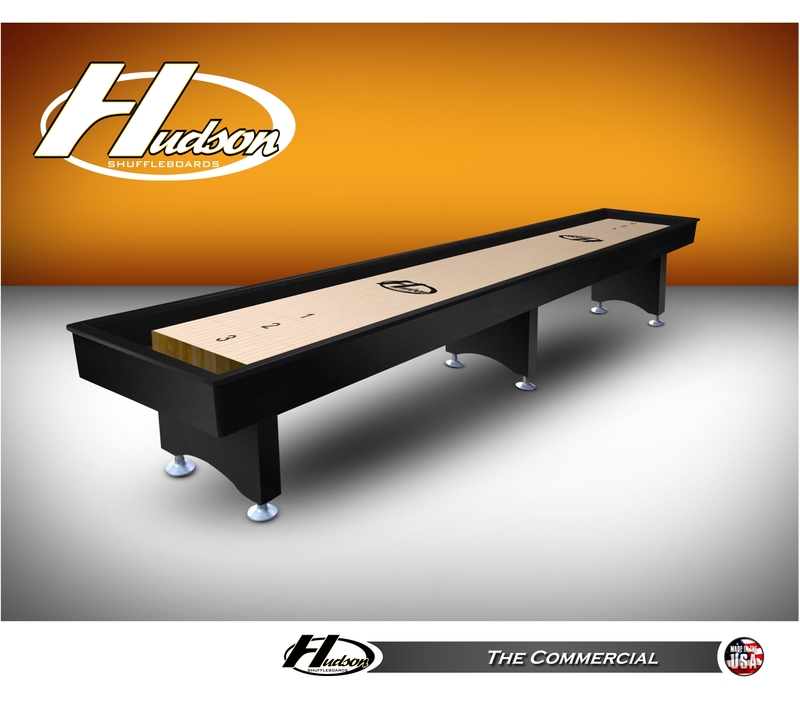 The 12' Commercial from Hudson shuffleboards gives you a convenient length without making you sacrifice on quality. The clean and simple design create a shuffleboard table that is sure to compliment the existing decor in your home or bar. 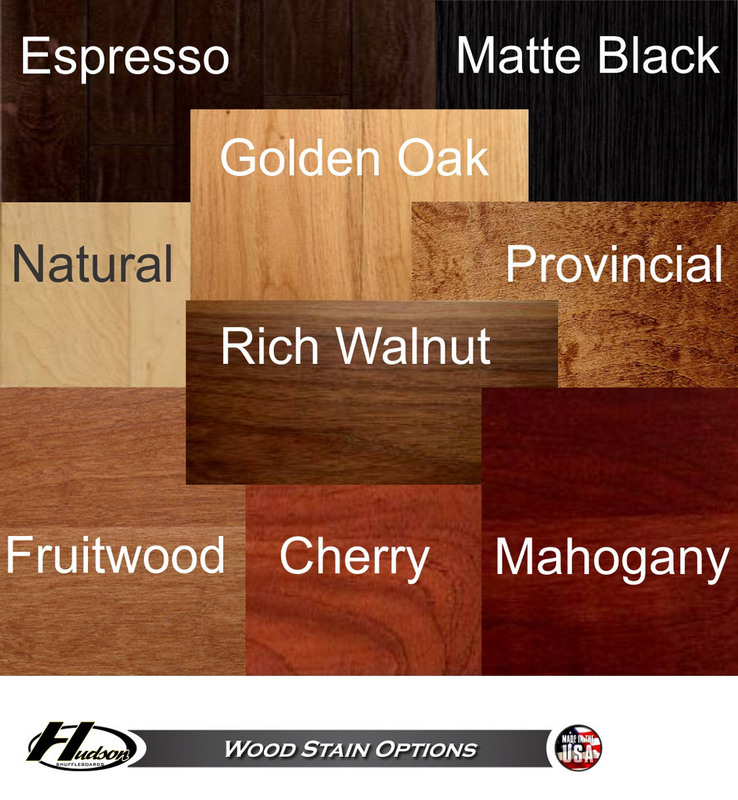 Handmade in the USA, The Commercial showcases both style and quality to your guests. 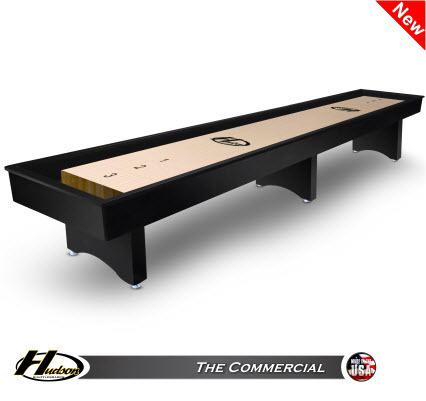 This table features a 3" thick playing surface constructed of select kiln-dried Hard Rock Maple and is topped with a tournament-level Polymer Finish. Both the cradle and legs are constructed of solid wood and available in custom finishes, allowing you to customize your table. 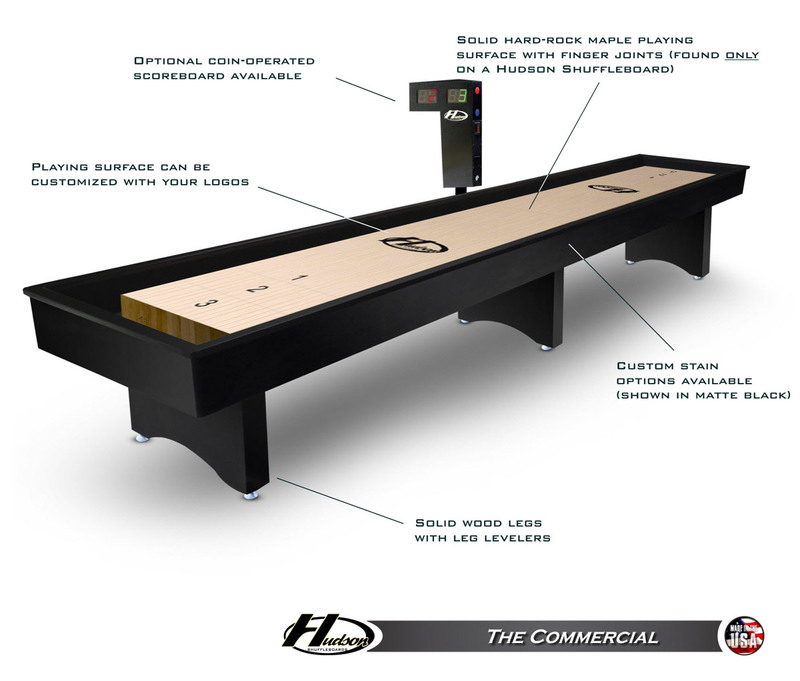 For an even more distinct look, you can add your bar or entertainment space's logo to the playing surface! Buying the table for your home? Add your family crest! Give your entertainment space a game table that will last a lifetime, and order The Commercial today. Cradle Height (top rail only): 8"